Enforcement, not abandonment, is the answer to violations of the INF Treaty. President Trump is about to launch a new nuclear-arms race. On Friday, the administration announced that the United States will withdraw from the Intermediate-Range Nuclear Forces (INF) Treaty between Russia and the United States. Trump boasted last fall that “we have more money than anybody else by far. We’ll build it up until [China and Russia] come to their senses.” Trump’s announcement triggers the six-month period the treaty requires before full withdrawal. If no agreement is reached with Russia, the wraps will be off. The New START treaty, which limits strategic weapons but expires in 2021, will be a likely casualty. Russia, China, and the United States will invent more weapons and deploy them in more places, with faster speeds on hair-trigger alerts. Human error, accident or mishap can already touch off a global nuclear catastrophe. If Trump has his way, the chances of that will rise greatly. Signed by Ronald Reagan and Mikhail Gorbachev, the INF Treaty was the beginning of the end of the arms race and the Cold War. For the first time, the United States and the Soviet Union agreed not simply to limit nuclear arms but to destroy them—some 2,700 warheads and an entire category of missiles of intermediate range. Gorbachev used the easing of tensions in Europe to loosen the Soviet grip on its Warsaw Pact allies. The INF Treaty led directly to the reductions of strategic weaponry in the START treaty. 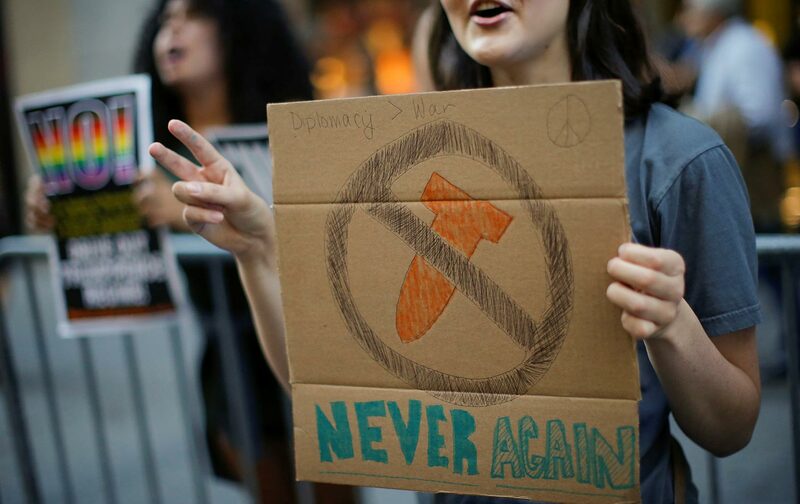 The disarmament momentum spread to countries such as South Africa and Libya, leading them to abandon their nuclear-weapons research. Torpedoing the INF Treaty is likely to trigger the reverse process, leaving the world more at risk and more dangerous than ever.